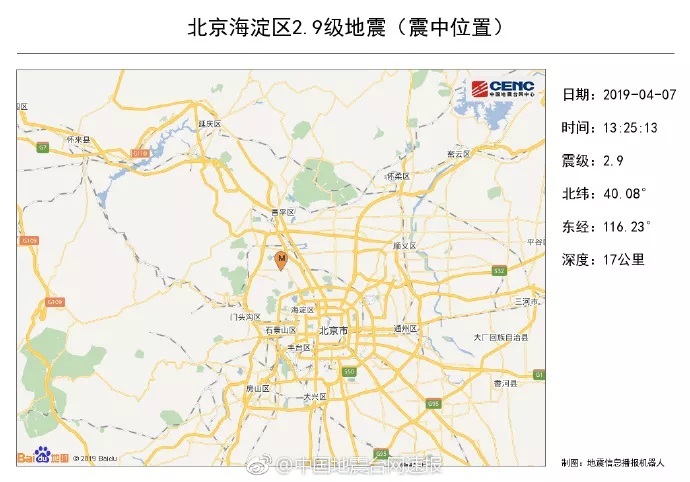 A 2.9-magnitude earthquake at a depth of 17 kilometers was detected at 1:25 pm on Sunday in Beijing's Haidian district, according to the China Earthquake Networks Center. 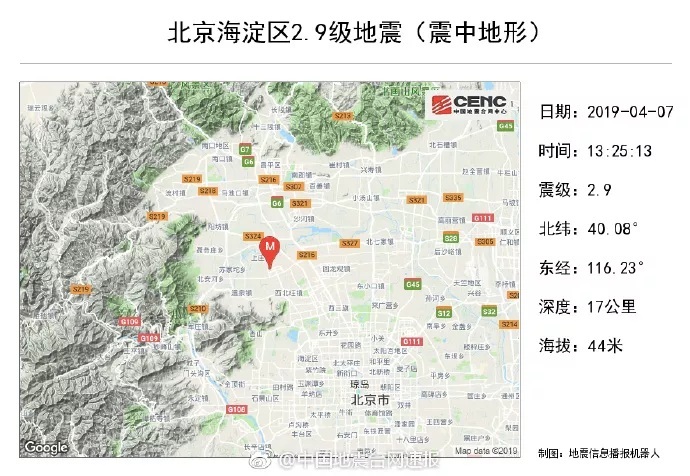 Two earthquake experts said the minor quake was a normal activity in the earth's crust caused by changes in crustal stress, and there is no need for the public to panic. 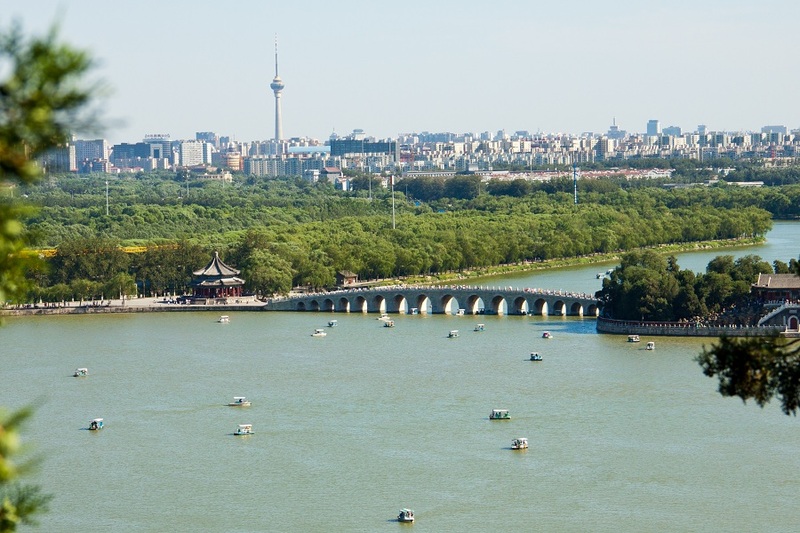 "It is a normal and isolated event," said Guo Xun, dean of the Civil Engineering School at the Institute of Disaster Prevention.